If you need a new pillow, without a doubt you need the best bamboo pillow. The new big thing in the world of pillows, a bamboo pillow will literally change your life. It solves all the problems that people typically have with their current pillow. The most common problems people have with their pillow is that it is either uncomfortable or unsupportive, it makes them feel hot at night, or it’s causing an allergic reaction. In this post we look at the features of these pillows and how you can benefit from one. We include our bamboo pillow reviews to make your purchasing decision easy. Love bamboo bedding? Check out our bamboo sheets reviews. How Do Bamboo Pillows Work? Are Bamboo Pillows Worth It? How Environmentally Friendly are Bamboo Pillows? How Safe are Bamboo Pillows? Why do bamboo pillows smell? Pillows come in all shapes and sizes and are made from a wide variety of materials depending on the precise feel and support you are looking for but, at first, the idea of ones made from bamboo may seem a little odd. So what are bamboo pillows? Known as a fast growing and tough grass plant it’s hardly the first material you would think of when making a comfortable pillow. They are, however, just as comfortable as any other pillow and claim to be eco-friendly and ideal for people who suffer from allergies. In this article we will be looking further at how bamboo pillows are made, and how effective they are. The main thing to point out is that these aren’t pillows encased in bamboo fiber. The grass is, instead, treated in a way that extracts the soft inner parts from the bamboo trunk for use within the manufacturing process, or by turning the woody parts into fine fibers by crushing it. This provides a tough, often silk-like material that is used to make covers for pillows, within which is a more traditional shredded memory foam filling. The percentage of a product that is made from bamboo is actually quite low, but manufacturers claim that the presence of the fibers provide a slew of benefits. By using bamboo in the casing of the pillow, these products offer advantages over other types. The first is that the process of obtaining the raw materials is more environmentally friendly in comparison to the alternatives like cotton. Bamboo is a sustainable crop. It grows very fast and has one of the highest yields for the space used of any plant. It is not affected by drought, doesn’t need to grown in irrigated fields, and does not require pesticides or other nasty chemicals. It’s also fully biodegradable, so excess yields won’t cause any lasting damage, and the final product is easier to dispose of. This all means that the impact of farming on the local area is much reduced. The finished material is very effective at wicking moisture, so bamboo pillows can offer a much more comfortable night’s sleep. It dries a lot faster and have a natural antimicrobial ability that prevents the development of odors. Bedding made with bamboo fiber is silky soft and highly durable. It’s great for thermo-regulation, so you will be comfortable throughout the year and stays tight fitting no matter how often it is washed. Bamboo pillows are suitable for use by people who have allergies, because the fibers are naturally hypoallergenic. The bamboo cover is full of shredded memory foam, which has further advantages over a pillow solely made from memory foam- namely that they are far more comfortable, and don’t absorb anywhere as much heat. While bamboo pillows are suitable for use by everyone, there are some who can particularly benefit. If you suffer from allergies, for example, then they are great because they are hypoallergenic, while still being really soft and comfy. They are also popular with people who strive to be conscious of the environment with the products they use. These pillows can also be helpful for people who have difficulties sleeping because they are supportive, comfortable, stay fresh, and are very effective at maintaining a good temperature. By using bamboo in the production of a pillow, manufacturers are offering some unique benefits, but with the increased price they charge for them, it can be questionable whether it’s actually worth it. The answer to this comes down to the reasons why you are considering one in the first place and the way you like to use your pillows. They are seriously worth considering if you are allergic to the materials used in other pillows, as bamboo is naturally hypo-allergenic. Its fiber is lightweight and breathable, so it allows you to keep a comfortable temperature throughout the night, and the ones made with memory foam will mold to your head and neck to ensure further comfort. The fabric will absorb more moisture, and the antimicrobial qualities of the bamboo will help eliminate odors. With the benefits come some downsides, though. Apart from the higher cost, they often have a strong chemical smell when you first get them, they may weigh more than other pillows, and they require a much longer time to dry after washing- otherwise they can give off a musky smell. If, for you, the benefits outweigh the negatives then bamboo pillows could be a good choice. If they don’t, then you’re far better off sticking with what you know. Bamboo itself is a sustainable crop and doesn’t involve intensive farming processes like cotton does. It grows pretty much anywhere, is drought resistant, and doesn’t require pesticides or nasty chemicals. When harvested the bamboo is a natural and clean product. The problem, though, is the process of turning the bamboo plant into soft fibers for fabrics. Depending on individual manufacturers, this can involve some highly toxic chemicals. The bark is turned into a product called rayon, and the most common way of doing this is by spinning the fibers with carbon disulfide. At least half of the quantity of this nasty stuff is released into the environment, meaning bamboo products are not necessarily as eco-friendly as they may initially seem. Of course the chemicals are cleaned out of the resulting materials, so they won’t be present in any pillow you buy. One thing that may concern customers on their first purchase of a bamboo pillow is the smell you get when you first open the vacuum packed bag. There’s a clear chemical odor, and it’s not advisable to use the pillow when this is still present because it can cause headaches and an unpleasant feeling. This smell goes away fairly soon after being opened though, but if it’s present, does that mean there are toxic dangers with the pillows? The answer is that the cause is related to the memory foam used in the stuffing rather than the bamboo casing, and it’s usual for products that contain the foam to give off odors when you first get them. There have been a number of studies into the toxicity of foam, but there is no evidence to suggest it is dangerous to humans. If it is a concern to you, then it’s worth finding a product that uses a different material for the stuffing. The bamboo casing, on the other hand, doesn’t contain any of the chemicals that were used in the manufacturing process and, as a natural material, is not toxic at all. It’s also hypoallergenic, so it is a good choice for people who struggle with allergies and aren’t able to use products that have been made with other materials. Whether you have just purchased your bamboo pillow or you want to refresh your current one, there are a few steps you need to follow to get the most out of your bamboo pillow. Place the bamboo pillow into the dryer on low to medium heat for 10-30 minutes to activate the memory foam. Once it is finished in the dryer, remove and give it a little fluffing (similarly to that of a normal pillow). Placing the pillow into the dryer will ensure your bamboo pillow is fluffy and soft as well as help to dissipate any chemical smell it comes with. If you do not have a dryer to use, you can fluff up your bamboo pillow by gently squeezing the edges of the pillow and pushing them together. Repeat a few times and combine with the actions of fluffing a normal pillow and you will see your fluffy bamboo pillow in no time. Bamboo pillows come in two different forms, solid and shredded. While users of solid bamboo pillows swear by their experience with them, so do those who use a shredded bamboo pillow. And while there are definitely pros and cons of each, according to medcentermj.com, the growing popularity of bamboo pillows is more than just a fad- they can actually provide you with assistance in neck pain, posture, and much more. So regardless if you choose to have shredded or solid bamboo pillows, switching to bamboo pillows will enable you to sleep better and in more comfort than ever before. Whether you are experiencing pain or exhaustion, a bamboo pillow can help you with your alignment and posture as well as your overall quality of sleep. Absolutely! But first and foremost, the pillows absolutely cannot be placed into the washing machine. Despite many washing machines having delicate or hand wash settings or cycles, to maintain the high quality integrity of your bamboo pillow, you will need to take the effort to hand wash it. According to Feel My Bamboo Pillow, washing machines are much too aggressive for the pillow to withstand even the most gentle or delicate cycles. When you are ready to wash your bamboo pillows, you need to keep in mind that they will need considerate care. First, you can slip off the bamboo cover and put it into your washing machine. The cycle needs to be on cold water and on the most gentle cycle. That is, if you do not want to take the effort to hand wash the cover. When it comes to washing your bamboo pillow, you will need to fill the sink with lukewarm water. Be absolutely sure it is not too hot or too cold as extreme temperatures can affect the quality and lifetime of your bamboo pillow. After you have filled the sink with lukewarm water, place your pillow in the sink and allow it to fully become wet. Then you will need to apply a very small amount of gentle detergent to the pillow. Keep in mind that you will ONLY need a very small amount since you are just washing a pillow. Remember, a little goes a long way. Once you have added the detergent to the sink, give your pillow a very thorough, yet gentle wash. Squeeze the pillow while you are rubbing in the detergent so you can allow the detergent to fully be absorbed throughout the pillow. Do this for a few minutes or until you are sure the detergent has made its way through the entire pillow. Drain the sink and turn on the tap-still making absolutely sure that the water maintains the lukewarm temperature to avoid damages. Run the tap over the pillow and continue to squeeze out the remaining detergent. Continue to rinse your pillow until there is no more detergent appearing. Now that you have washed your bamboo pillow, you will need to dry it. 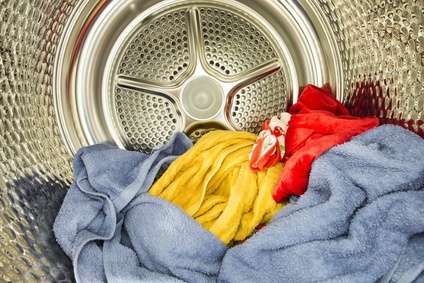 Same rules apply to the dryer as they do to the washing machine-do not use them for bamboo pillows! Instead, place your bamboo pillow in an area where it can air dry. The best place to air dry is a flat and clean surface, best in the sun. You should ensure your pillow is thoroughly dry before you use it again. Any slight dampness can cause mildew to form. If you so happen to place your pillow into the washing machine, expect it to come out destroyed. In nearly all cases, if a bamboo pillow is placed into the washing machine, they will come out crumbled and falling apart. This is caused by the movements and vibrations of the machine, as well as the water temperature. Bamboo pillow is the term given to any pillow that utilizes a bamboo outer case. The actual pillow itself, is generally a form of memory foam or shredded foam material. Many bamboo pillow cases are hypoallergenic for the sensitive user prone to allergies and the fibers are naturally resistant to bacteria and mold, which keeps the pillow safe and comfortable for use all throughout the night and several years after. Some people have claimed this over the years while using their bamboo pillows, but it actually has less to do with the bamboo case itself, and a lot more to do with the making of the pillow underneath. The fact of the matter is, memory foam products have a tendency to develop a unique odor and, as most, if not all, bamboo pillows utilize memory foam in some way, they too fall victim to the possibility of memory foam smell. Or, more importantly, why does memory foam smell? Memory foam is made of polyurethane mixed with other chemicals, so this can result in an odor being given off simply from the makeup of the item, which starts at the manufacturing level. For the most part, these chemicals are benign and even organic substances. In fact, the smell does not even last all that long thanks to a process called “gassing off”, which will eventually wear off. This gassing off period could last a few days or even a week. But that’s a rough estimate and pretty subjective. The aeration of the room is a factor in this. In a room that’s got a solid breeze and access to open windows, it may only take 48 hours for the smell to wear off. However, in places of high humidity, it may be harder for the gasses to dissipate in the thick air, and the smell might linger in the moist furnishing in the room. The other factor here is your own sensitivity. You might not notice the smell after a day or two during the gassing off period, but you might also be highly sensitive and notice it lingering long after you air out the pillow. It depends on your personal sensitivity, though most customers report only a few days to get the smell out with a little aeration. Be warned, however, not all of this is completely safe. Memory foam mattresses and pillows have more chemicals in their overall compound than other substances to help create the unique feel and responsiveness of them. And not all of them can be tracked. So do research on the company and manufacturer before you buy your memory foam bamboo pillow to make sure it’s safe to you and your personal allergies. Ultimately, bamboo pillows can give off an odor, and the best way to deal with this is to do your research. The odor doesn’t often last and, in most cases, is harmless (if a little inconvenient). So do research, give the pillow proper aeration, and get a great night’s sleep on your new bamboo pillow! The particular benefits you get from the use of bamboo within the case of the pillow means that they are ready to sleep on without needing a pillowcase. Of course, it’s totally up to you how you want to use them so you can use a case if you prefer. You may lose some of the effects, though, and won’t feel how soft the bamboo material is against your skin. If you do decide to use pillowcases because you want to prolong the life of your pillows, it would be worth getting ones made with bamboo as well so you still take advantage of the benefits. Made from shredded memory foam, this pillow has so much to offer. Not only does its shredded memory foam provide the support of memory foam, it also provides the comfort and flexibility you would expect from a down pillow. With 60% polyester, 40% bamboo blend, the casing is incredible soft and provides all the benefits of bamboo. It is hypoallergenic and dust mite resistant making it perfect for allergy sufferers. The fabric is highly breathable and promotes excellent air flow. This coupled with the breathable nature of shredded memory foam which allows for superior air circulation means that you will be kept cool and comfortable at night. An undeniable benefit of this bamboo pillow is the support it provides to your neck. You will sleep comfortably with no strain on your neck or shoulder muscles. Shredded memory foam is much more flexible than standard memory foam meaning you can adjust the pillow to suit you. Made in the USA and coming with a 30 day money back guarantee, and 5 year warranty, this is our pick for the best bamboo pillow. Read the full review here. The Snuggle-Pedic bamboo memory foam pillow offers outstanding value for its price. While it is slightly more expensive than its competitors, it comes with an incredible 20 year warranty. In addition its 90 day trial with free customizations means that if it doesn’t meet your needs, they will exchange it for free and even customize a pillow to meet your exact needs for free. Simply put, there is no risk in this purchase. ​This bamboo pillow uses highly durable yet comfortable shredded foam. Using a mix of Biogreen and Certipur-US foam, the quality is very high. The foam shredded foam will mold to your head ensuring maximum support for your neck. It will suit you whether you are a side sleeper, back sleeper or stomach sleeper. The bamboo casing of the pillow is a 56.4% polyester, 43% bamboo, 0.6% lycra blend. With a high proportion of bamboo, the pillow fabric is highly breathable and promotes a very comfortable sleeping temperature. Durable yet soft, this bamboo pillow is allergy resistant and perfect for anyone who suffers from an allergy or other breathing problem. No wonder this is one of the top rated bamboo pillows. This pillow by Xtreme Comforts is another strong choice. It provides all the benefits you would expect from one of the best rated bamboo pillows. Highly supportive yet very comfortable with its shredded foam interior, you will sleep soundly and wake up feeling refreshed. It will be great for you whether you are a back sleeper, side sleeper or stomach sleeper. If you are an allergy sufferer you will enjoy the hypoallergenic qualities of this bamboo pillow. It repels bacteria, fungi, dust mites and the growth of mold. Your will be able to breathe deeply and comfortably. The soft exterior casing of the 43% bamboo casing is highly luxurious yet durable at the same time. Further, its bamboo properties allow it to be highly breathable ensuring a high air flow rate and great temperature regulation. While many pillows heat up at night leaving you tossing and turning, this pillow will keep your head cool. This bamboo pillow comes with a no questions asked, 30 day money back guarantee and a 6 year warranty making it a wise choice. This Good Life Essentials shredded foam bamboo pillow uses 50% bamboo in its casing maximizing all the benefits of bamboo. This means more softness, more breathability and more allergy resistance. It also comes with a comforting 5 year warranty. The 50% bamboo blending means that this pillows cover is incredible soft and comfortable. At the same time, it provides maximum durability ensuring that you get years of reliable comfort and high quality sleep. Bamboo pillows are highly breathable and this pillow is no exception. With its composition of micro fibers and threads, air is able to easy flow through the fabric. This means your head will be kept cool at night. Gone are the days of turning the pillow as one side gets too hot. Being hypoallergenic, this is pillow will suit allergy suffers who’s sleep is affected by the bacteria, dust mites and mold that builds up in other pillows. The interior is made from high quality shredded foam which gives you to support of memory foam and the comfort of a down pillow. Having the right support for your neck is key to a comfortable sleep and this bamboo pillow gives you just that. At the same time unlike memory foam pillows, you can bunch and manipulate the pillow to meet your sizing and comfort needs. Bamboo pillows offer incredible value to any sleeper. Whether you need a new pillow because your current pillow is not giving you quality sleep, or just want a good pillow, a bamboo pillow is the solution. Allergy resistant, highly breathable ensuring cool temperature, soft and luxurious yet durable and eco-friendly, they are the right choice for any style of sleeper. We hope our best bamboo pillow reviews were informative and gave you the information you need to make a purchase.